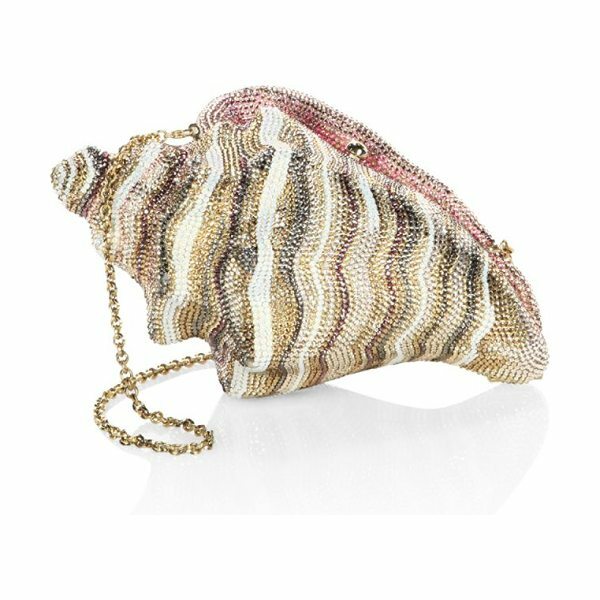 Conch shell-shaped clutch with striped crystals Removable chain shoulder strap, 19" drop Top clasp closure Goldtone hardware Metallic leather lining 8"W x 4"H x 3.5"D Austrian crystal/brass Made in Italy. 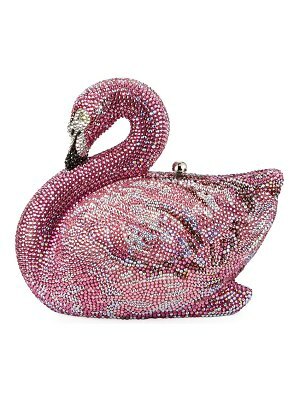 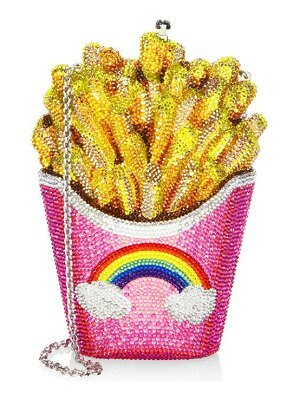 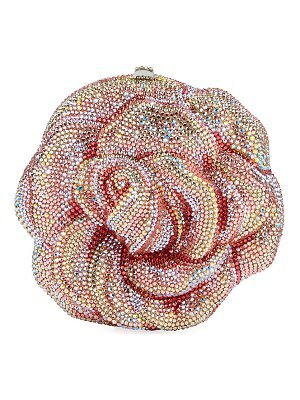 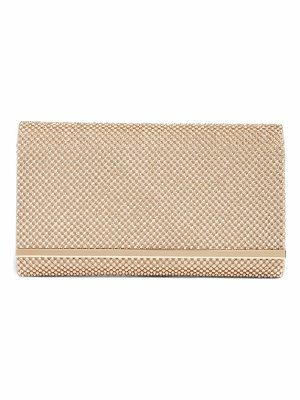 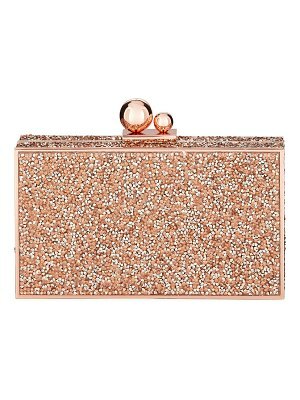 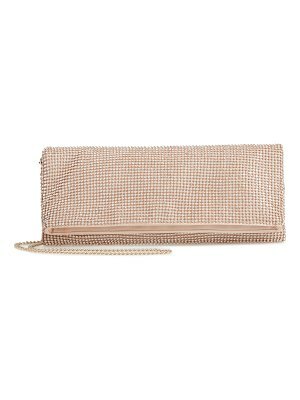 Handbags - Judith Leiber Handbags. 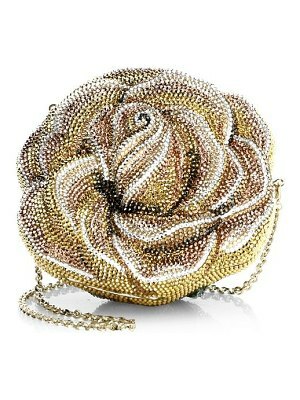 Judith Leiber Couture. 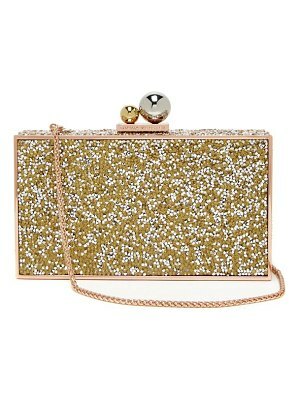 Color: Champagne.